Although wildland fires are a natural part of forest ecosystems, they can interefere with the planning of land-management activities and may have an array of anthropogenic factors. The article, Spatial variability in wildfire probability across the western United States from the International Journal of Wildland Fire, uses fire obsertvations to produce detailed estimates of wildfire probability, of both natural and anthropogenic factors. The International Journal of Wildland Fire publishes papers that advance basic and applied research concerning wildland fire. The Journal wishes to attract papers on a broad range of wildland fire issues that may include subjects beyond the range of papers published in recent issues. The Journal has an international perspective, since wildland fire plays a major social, economic and ecological role around the globe. 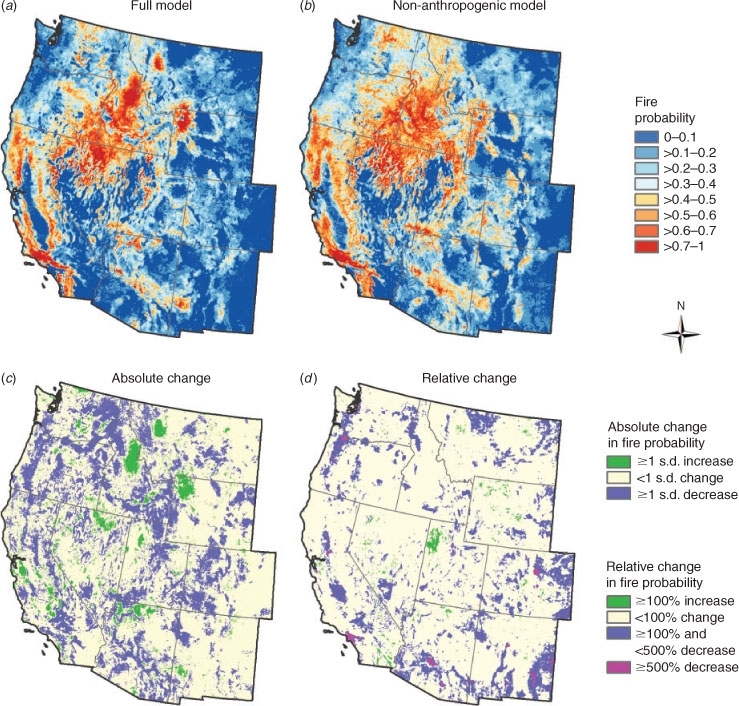 The authors of the article, Spatial variability in wildfire probability across the western United States, include Marc-Andre Parisien, Susan Snetsinger, Jonathan A. Greenberg, Cara R. Nelson, Tania Schoennagel, Solomon Z. Dobrowski and Max Moritz. Figure 1. 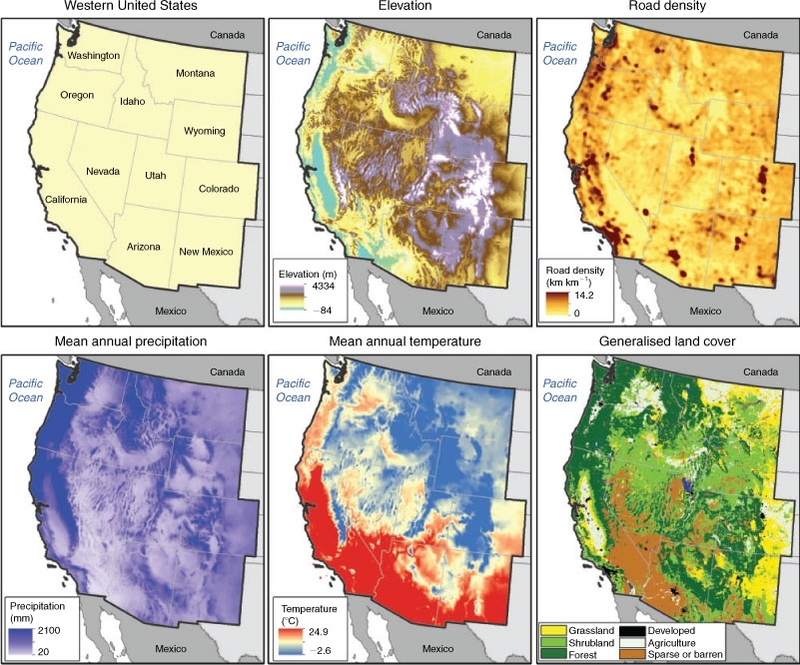 The study area showing the 11 western USA states, elevation, road density (computed using a 1000-hacircular window), mean annual precipitation, mean annual temperature and land cover that was generalized from the National Gap Analysis. Figure 2. Mean predicted wildfire probability (based on 25 model replicates) for the Full model (a); the Non-anthropogenic model (b); the absolute change (c); and the relative change (d) from the Full model to the Non-anthropogenic model, whereby green indicates an increase and blue represents a decrease in wildfire probability as a result of human-influenced variables.